With England playing their first match of the World Cup yesterday, Monday 18th June, world cup fever in the UK is truly underway. 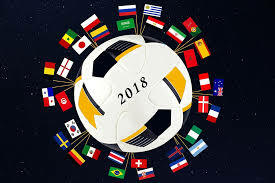 As many employees and companies throughout the country participate in World Cup sweepstakes it’s likely that you’ll be supporting more than one team this world cup. A great way to really get behind your team is to chant along with the country’s supporters – here we have some of the most popular chants, in the language of the country. The Brazilian chant is a three lined clapping chant, “Eu sou brasileiro, com muito orgulho, com muito amor.” It is then repeated. This translates as: “I’m Brazilian, with a lot of pride, with a lot of love.” The chant has some ups and downs, but you are likely to hear this enough times to easily get the hang of it! From the Spanish you will hear a few similar phrases, including “Vamos Espana” –“Let’s go Spain!” “Que viva Espana” – “Long Live Spain!”, “Yo soy Espanol” – “I am Spanish!” Although it may be difficult to justify the last chant, if you are not actually Spanish, but you get the idea! You are bound to have heard the chant “Allez les bleus” – “Go blues”, from the French fans. This refers to the kit colour of the French national team.